If you’re like most data center management professionals, you might start your Data Center Infrastructure Management (DCIM) software selection process with an RFP or RFI that largely resembles a checklist of need-to-have features. Understanding the capabilities that are most important to you is a great start, but choosing the right data center software takes more than simply seeing which vendor checked the most boxes. And with more organizations on their second tries with DCIM, it’s more important than ever to make the right decision. What Is the DCIM Software Feature Comparison Trap? The DCIM software feature comparison trap is the tendency to evaluate and select your data center management solution based solely on an assessment of how many checkboxes or “Yes” responses each vendor has provided. Each positive response is meant to indicate that the product supports the feature specified. The feature comparison trap makes the data center software selection process seem fast, simple, and logical because the evaluation is based entirely on the data presented during the RFP. It might seem like this is exactly what you should be doing. Isn’t data-driven selection the point of having an RFP checklist? While it’s accurate to say that an RFP is an important tool for DCIM software evaluations, features should not be the only criteria for your data center management software selection. Without evaluating the software itself on a wider range of requirements, it’s difficult to accurately determine how well the vendor and product will suit your needs. 1. Know your must-haves. Once you know the top one or two problems that you are trying to solve, create a set of DCIM software requirements that are “must-have,” as opposed to “nice-to-have,” to address the problems. 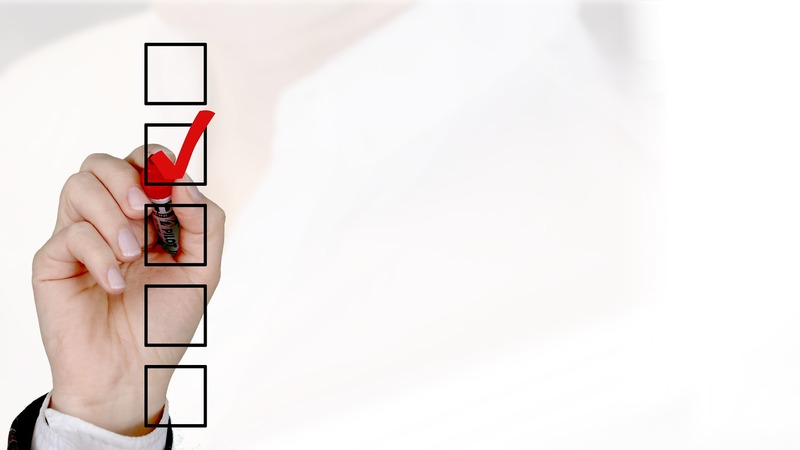 (These feature requirements should comprise the foundation for your checklist.) For example, if data center asset management is a problem, you might focus on DCIM features that enable accurate inventories and device information. If you’re more concerned about data center monitoring, then your must-haves might include features that enable power capacity trends and analysis. Knowing your must-haves will keep your focus on what’s important (solving your problems) so you won’t be distracted by shiny but ultimately unhelpful features. Bonus: Focusing on the ends versus the means will also help you write a better checklist. 2. Limit the number of vendors you evaluate. The more vendors you evaluate, the more time-consuming and complex the selection process will be, and the easier it will be for you to fall back into the DCIM software feature comparison trap. Increasing the number of vendors will significantly dilute the resources available to properly evaluating each product, which can rapidly lead to evaluation fatigue. Instead, restrict your selection process to the top two or three DCIM software vendors with respect to your “must-have” requirements. 3. Use your problems, not your checklist, as the focal point of your evaluation. Keep in mind that your ultimate goal is to solve the specific problems mentioned in Point 1, so your evaluation should be based on how well the features help you solve those problems. Don’t focus on the quantity of features. Additionally, take the time to describe your data center problems and desired outcomes to the vendors and challenge them to demonstrate how you can achieve your objectives with their data center products and support. Note: Don’t be overly concerned about missing or weak features that may be useful sometime in the future. Evaluate the product based on the features available today. Features that do not directly address your defined problem(s) simply distract from your ultimate goal. Remember that most vendors will expand product functionality over time to address competition and customer demand. If your evaluation does hinge on whether a specific feature will be available in the near future, see if the vendor will accommodate your request and add it to the product roadmap. 4. Book multiple demos. It's likely that during the course of your DCIM software selection process, you'll see demos hosted by each vendor. However, don't make your decisions based on just the first demo, which usually won't be enough to show you the product depth and breadth required for you to make your decision. Book at least two if not three demos and include additional people from your organization so everyone can see how the software solves for different user scenarios. 5. Conduct a Proof-of-Concept (POC). A POC is your chance to evaluate the data center management software using your own data and team over an extended period (usually about eight weeks) of time. With a POC, you can see how easy the DCIM software is to use, how well it works with your current processes, and if it addresses your top challenges. Most importantly, it gives you the opportunity to check the veracity of the vendor’s claims during the RFP phase. Bonus: The POC is also a great time to evaluate vendor support. See how often the vendors check in with you throughout the POC. Look at the effort they make to not only answer your questions but also proactively provide expert tips for maximizing the value of their DCIM software products. While it’s possible to configure and implement a DCIM solution on your own, a great vendor will often offer services to do the heavy lifting, like data collection and ingestion into the new DCIM database, for you so you can get up and running faster – without the mistakes often associated with initial deployments. It may not be as easy as counting checkboxes, but avoiding the DCIM software feature comparison trap is critical to selecting the data center management solution that best suits your needs. Follow these tips to steer clear of potential pitfalls and be confident in the choice you make. There are few better ways to evaluate a data center management solution than seeing it in action. Sign up now for a live demo and see for yourself DCIM software that’s fast, easy, and complete.